Can there ever be enough Flickr search engines? I don't really know but there doesn't seem to be any end to the variety of ways sites are accessing Flickr's fantastic wealth of images. Tag Galaxy though has to be one of my favourites. If you want to see how it works just watch this 3 minute movie. 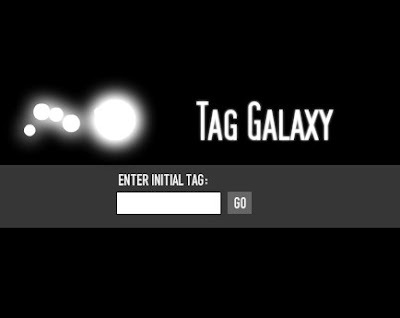 Tag Galaxy looks ordinary enough until you enter and search your first key word. Then you are presented with a galaxy of planets all representing related keywords and your search word at the centre. You can click on these related term to build up or refine your search. 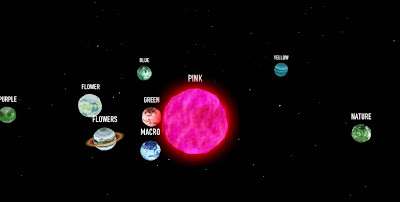 When you are ready you click on the central planet and watch as the images relating to your tag start to appear around your central globe. 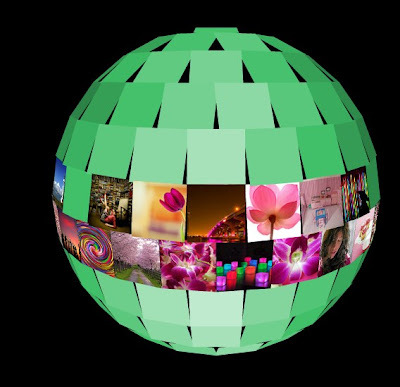 You can then click and drag to rotate the globe and look at the images. When you find an image that interests you, click on it to enlarge it. Then click again to get more information about the image. Clicking on the small rectangular icon bottom right of your screen will also make the interface full screen, which would look great on an interactive whiteboard. 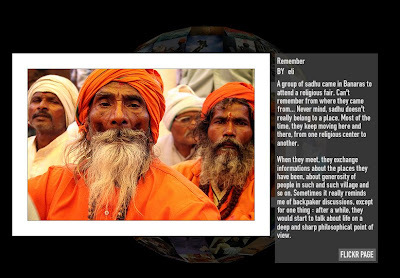 This is a great way to access images and would be great to use with students for vocabulary building , brainstorming, or playing word association, by getting students to predict images they will see or words which related to key concepts they type in such as politics, religion, purple, sport etc etc. I hope you enjoy playing with this great tool.